If your dream is to work in reality television, then there are some hard truths you should come to terms with before deciding to set your career course in that direction. There are numerous differences between working in reality TV and television in general. For the purposes of this piece, when we refer to reality television, we are referencing those shows such as Survivor or Naked and Afraid and the like. Talk shows and variety shows would fall under a different category. The hours in just about any television and film production job are often brutal, especially if you're working in non-union conditions where the guidelines the production companies would need to follow are often obscure and rarely followed. The production's needs come before those of the crew. Luckily, most major reality programs are closely monitored to make sure that labor laws and guidelines are followed. However, that doesn't make the job that much easier to digest. 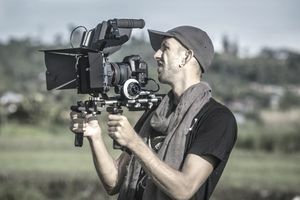 In terms of hours spent working, you might find yourself routinely working 12- to 18-hour days (sometimes longer) depending on the shoot, production company, and demands of the subject matter. Because reality television is unpredictable, you never know what could happen, or when. So, you are constantly on notice that the particular subject matter you're exploiting might demand your attention at any point during the production process. Needless to say, when you're working on a reality production shoot, consider your social and dating life to be on hold. Until you've proven yourself on set, in a writer's room, or wherever you might end up, the money you've heard so much about in Hollywood rarely makes its way to the crew. Salaries are often extremely low because of budgetary restrictions and a high demand for production jobs. Meaning, if you're not willing to work for X amount of dollars, there are dozens if not hundreds behind you in line who will. Be realistic about your expectations when you're first starting out. One day, you might find yourself generating great wealth from the entertainment industry, but when working on a reality program from the ground up, you won't see much green in your wallet. That's not to say you have to deny your human side, but you have to understand going in that you might see the absolute worst happen to a person, but that your only job is not to help counsel them through it, but to capture it on film. Unfortunately, there is a stigma to working in reality television. Even within the entertainment industry itself. It's a relatively ugly occupation, and because your job is to stand idly by while real people go through sometimes traumatic situations, people might start to judge you. One way or another, you will have to work through this on your own. The "thick skin" you've been hearing so much about as you start your career in Hollywood starts developing on shows like these. Reality television has its unique challenges. But if you can manage to work your way through them, you greatly enhance your chances of success and developing a potentially lucrative career.